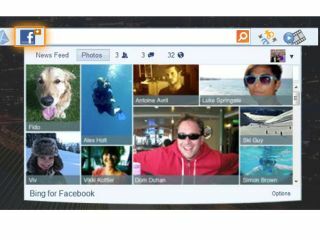 Microsoft has released a new Bing Bar for your web browser, which includes a Facebook button for quick and easy social networking. Yes, that's right. It is a toolbar. But not just any toolbar, says Microsoft, as it comes with a bit of added Facebook. It's all about what Microsoft claims is the "first and only universal [Facebook] like button today"; so you can get busy liking any web page that hasn't yet got a Like Button of its own. Aside from 'liking' to your heart's content, the bar also allows you to check out your Facebook news feed, update your status, like a page or comment on other posts without needing to open Facebook in the browser. Aside from the Facebook features, the Bing Bar 7 offers news, travel info, weather updates and at-a-glance email from all your webmail accounts in a single drop-down box. The toolbar can also translate web pages, offers a shortcut to MSN Video Player for on-demand content and, of course, allows you to search the web using Bing. If you find yourself in the market for a new toolbar and the Bing Bar 7 tickles your fancy, just head over to the website to download it now.